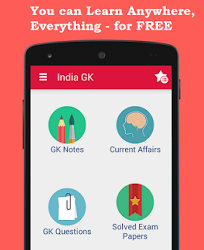 19th, 20th November 2016 Current Affairs MCQs, Quiz, Questions: Current Affairs for November 2016, Daily Multiple Choice Questions (MCQs) for India GK, World GK and current affairs with Collection of daily objective type Question by www.Indiagk.net based on General Knowledge (GK) and General Science (GS) Questions for UPSC, State PSC, SSC, Police exam, Railway exam, SBI, Bank PO, IBPC, SSC, LDC, UDC, Army, Airforce, Navy, Coast Guard, Bank Clerk, TET and all entrance examination with current affairs News, Multiple Choice Questions (MCQs) available on Website www.IndiaGK.net and Android Apps with daily updates:. PAHCHAN identity cards recently distributed by Government to whome ? Which state government has signed a MoU with the Microsoft for digital initiatives? Who wins China Open 2016 badminton tournament ? Which Indian company has been named as the 2016 Digital Innovator of the Year by GE Digital? PM Narendra Modi on 20th November launches Pradhanmantri Awaas Yojana (Gramin) in which city?